Updated maps will allow you to increase the number of offline visitors by means of your personal site. Try out the Google Maps widget developed by our team and update your own site with no trouble at all. BONUS: free online design tool of the unique map! 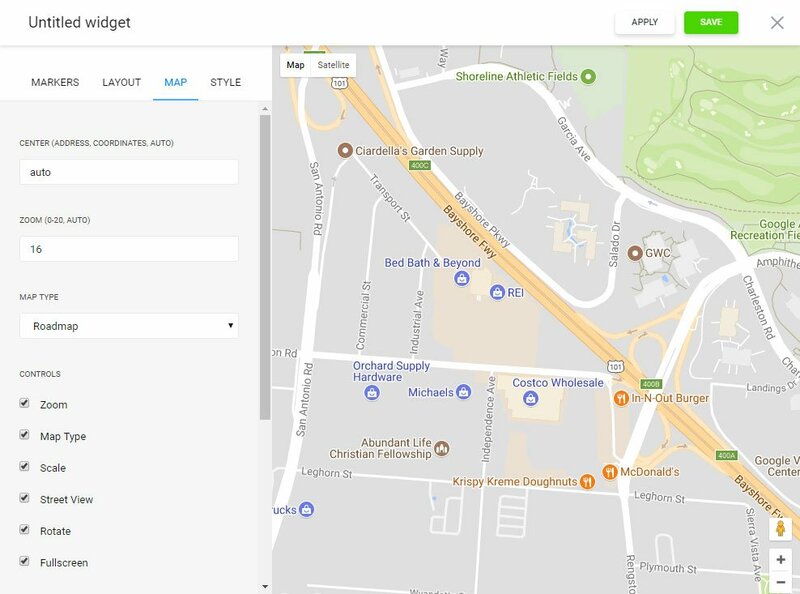 The most advanced Google Maps widget for Blogger, that permits you to implement maps with new design, location cards and plotting user directions. Our product is most easy in installation and usage; it doesn’t require web-developing knowledge or other especial knowledge. The maps’ adaptive layout, diverse color schemes and the location icons’ custom styles empower you to create the maps for various web-resources designs and will display beautifully on any screen or device. To install, you ought to make several uncomplicated operations. If you don’t yet have an access at Elfsight Apps, then you need to register. If you already have a account, enter. 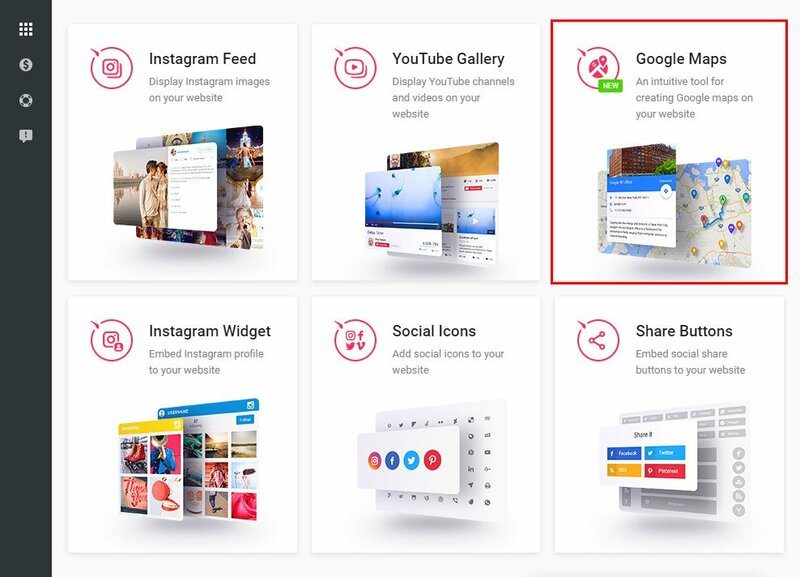 To install widget to website, just pick out – Google Maps Builder. 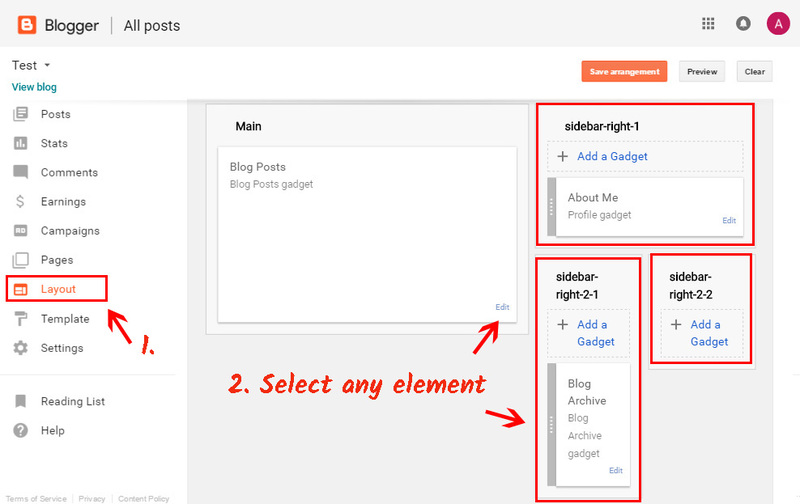 Pick the relevant settings that will allow you to embed the widget on your website in the best way. 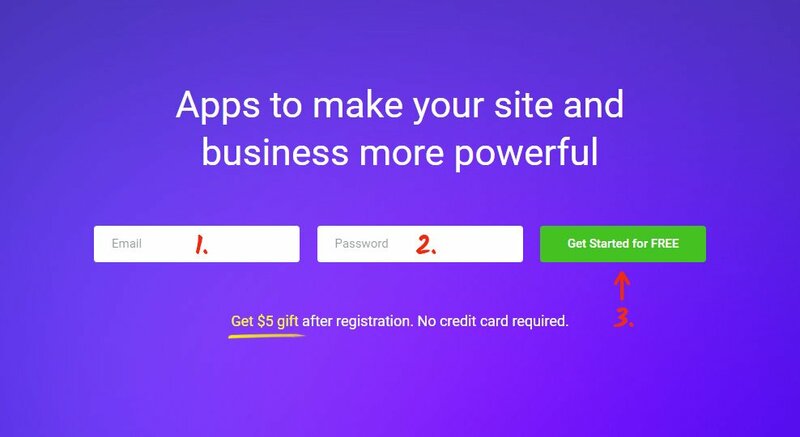 You can choose the subscription in the table that appears. Subscriptions range from free to extended. Analyze your website’s popularity and press the “Select” button. 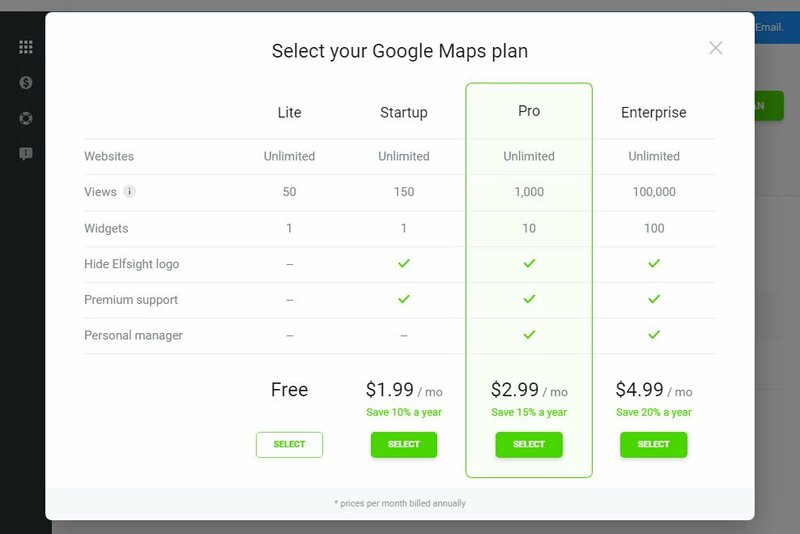 You can take the personal code to install the google maps to your website in the popup. 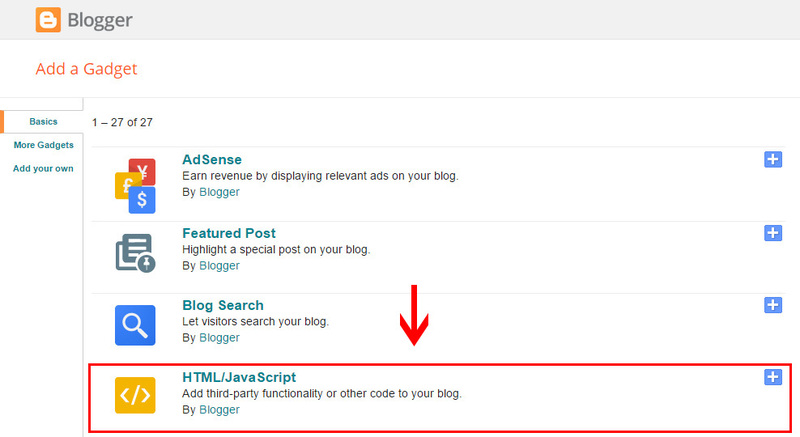 • Login to Blogger and go to editing. Select the required category in the left-hand menu, and go to page. Switch the page to HTML format. 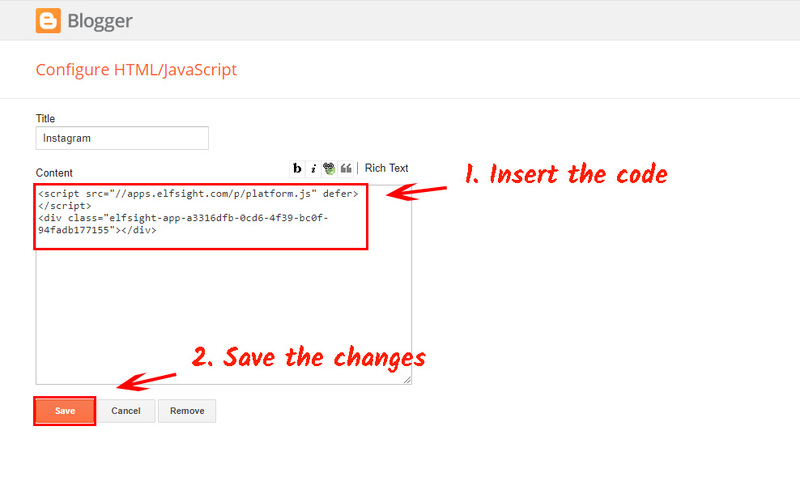 Install the widget code to the content field, and save the changes by pressing Update. The maps have been successfully installed to the page. Installing to a template element. Go to Layout tab in the left-hand menu and select the required element. Press Add Gadget. Install the maps’ code you’ve got at Elfsight Apps to Content field, and save. • The widget are ready! You’ve successfully installed the widget to a template element. You can control and adjust all of installed plugins without making any corrections to the web-page code from your individual account at Elfsight Apps. You can find More information about the advanced widget advantages and options on the Elfsight maps page. It is a crossplatform service featuring a plugins catalogue to improve your site and change it to an authentic means of getting clients. Make your page better with the help of the Elfsight Apps. 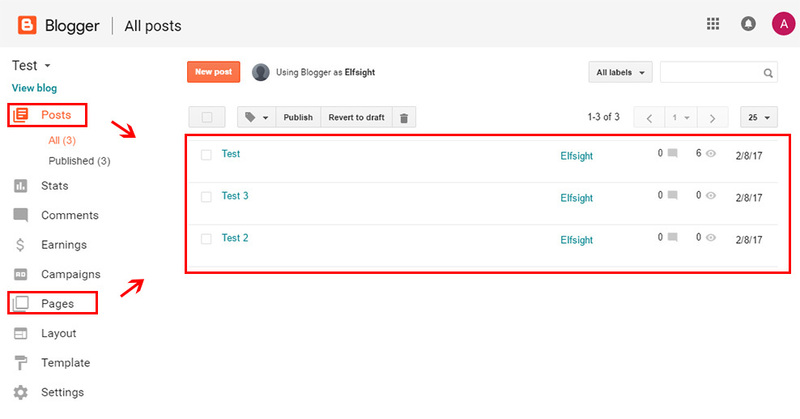 Discover other Blogger widgets developed by our team. Test the demo version of the Blogger Google Maps right now! Construct your unique map with an original style for your personal site.